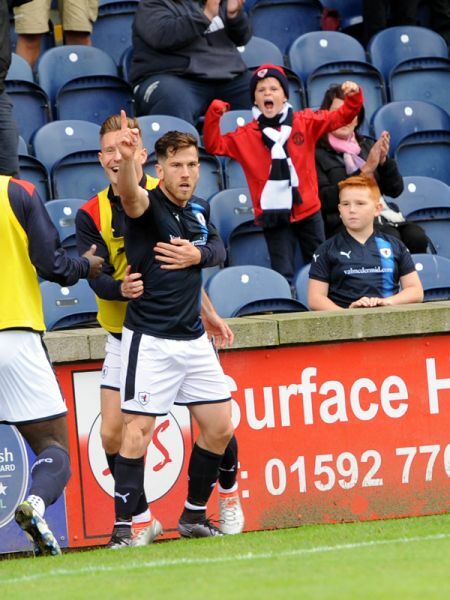 Raith Rovers made it three wins on the trot with a hard fought 3-1 win against Forfar Athletic at Stark’s Park this afternoon. 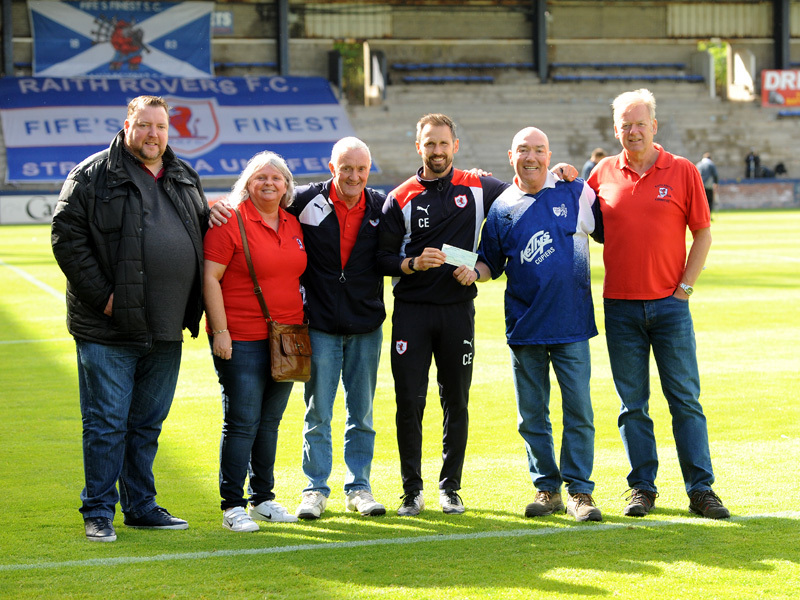 In what was the first league clash between the sides in over a decade, Rovers certainly deserved the three points, although the home fans had to wait until the final minutes before the win which sent the club to second in the league was secured. Rovers lined up with 18-year-old Rory Brian in goal, and Ian Davidson partnered Kyle Benedictus in central defence. Otherwise, the side had a familiar look as Barry Smith’s men looked to build on their promising start to the league campaign. 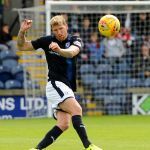 Within sixty seconds Greig Spence was presented with a half-chance, but the ball was caught up under the striker’s feet and the chance was lost. Following a neat interchange of passes in midfield, Bobby Barr rushed down the right flank, and his swirling cross called for an alert fingertip save by Loons custodian Marc McCallum. For all Rovers enjoyed the lion’s share of possession, the visitors looked dangerous on the break, and after ten minutes Brian punched a corner high into the air, before looking lively to claw away the ball from the resultant shot. 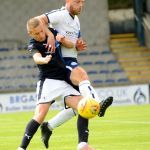 Forfar midfielder Mark Millar was then cautioned by the referee, though the reason for the game’s first yellow card was unclear. 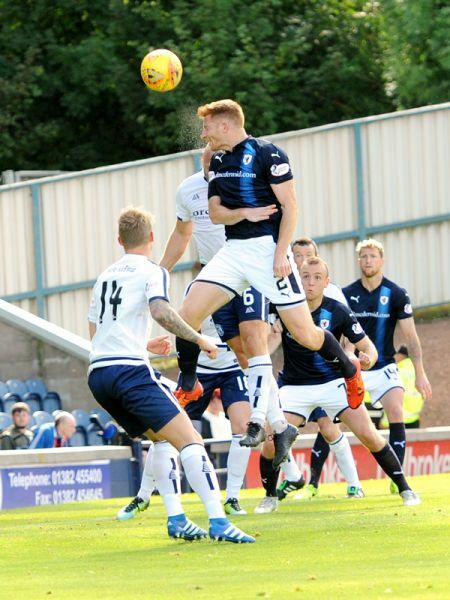 Not that the former Falkirk player was particularly troubled by this, as he opened the scoring with a free-kick after fifteen minutes. Davidson had given away a needless foul about 22 yards from goal, and Millar smashed his shot into the top corner of the net, giving Brian no chance. 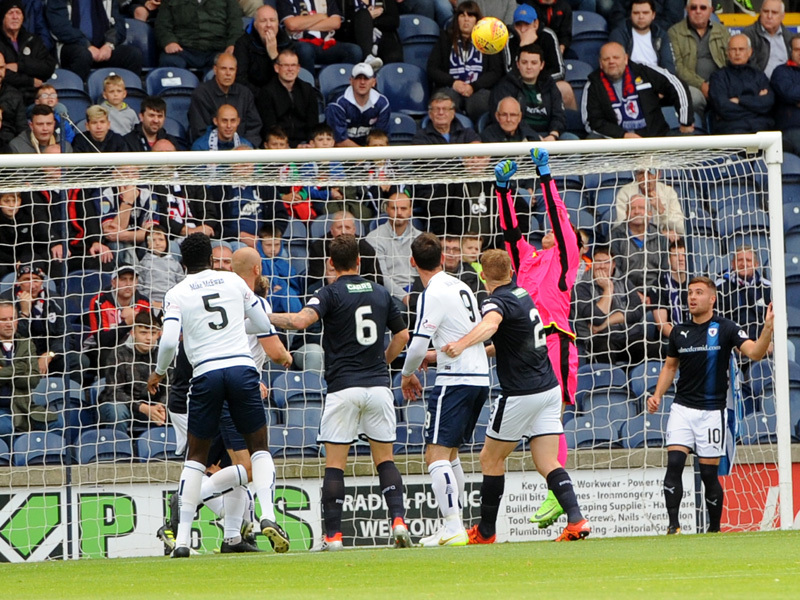 Liam Buchanan almost equalised within two minutes, but McCallum blocked the Rovers striker’s shot from close range. 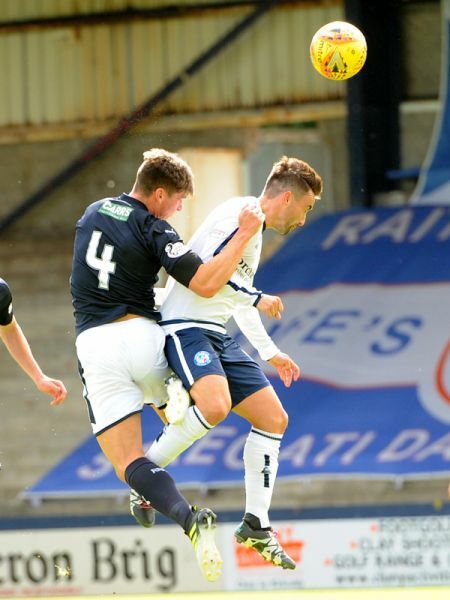 Spence then had a similar opportunity, but again Adam denied the home side. Rovers continued to press forward, and after half an hour in-form striker Lewis Vaughan restored parity with an excellent goal. 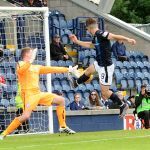 Latching on to the ball around halfway, the young forward burst deep into the Forfar half, and as the defence backed off, he lashed a low shot into the net from twenty yards. Buoyed by the equaliser, Rovers poured forward, and Barr tried his luck with a low shot from distance which failed to trouble McCallum. 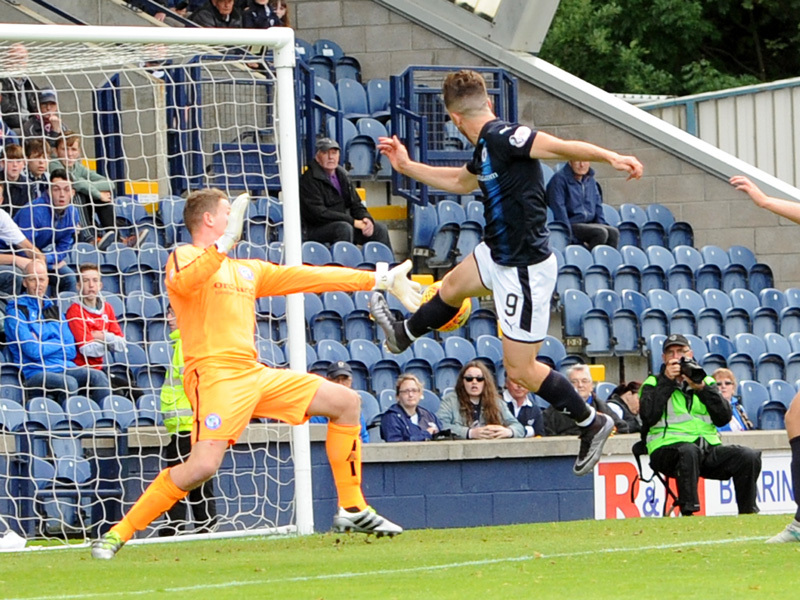 A Kevin McHattie cross then found Buchanan, but the striker’s shot was easily gathered by the keeper. The game then saw a pivotal moment when the visitors were reduced to ten men. 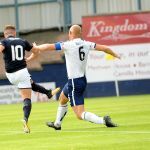 With acres of space in front of him, Buchanan drove towards the Forfar defence with purpose, only to be crudely fouled by Jamie Bain, who as the last man of defence fully warranted the red card brandished by the referee. 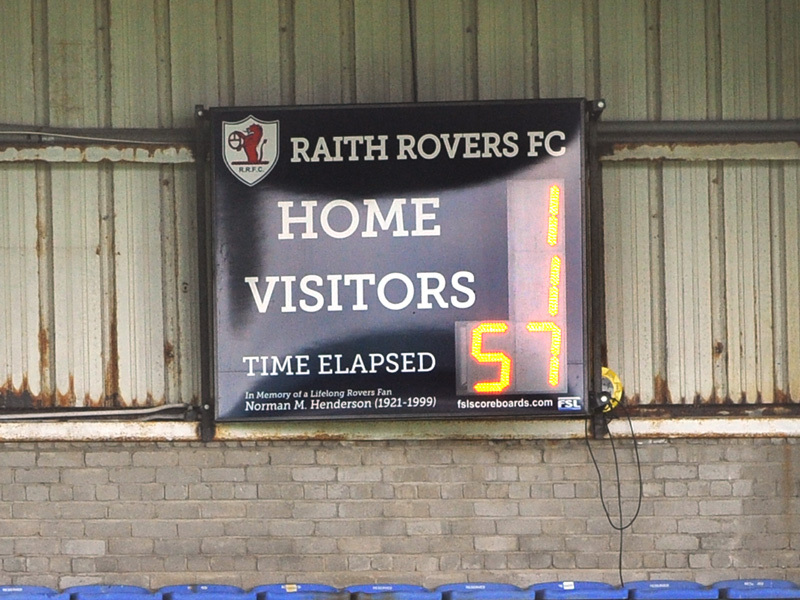 Rovers then forced a series of corner kicks although the Forfar defence stubbornly held firm until half-time. 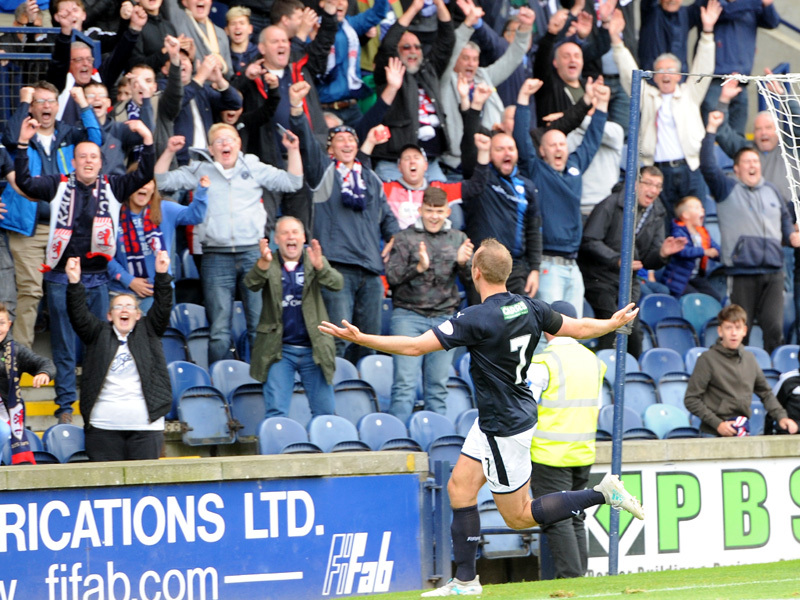 The Rovers faithful were looking for increased urgency to go with the territorial dominance being enjoyed by the home side, and Jason Thomson came close to putting Rovers ahead, although the right back hesitated when McHattie’s inviting cross from the left wing fell invitingly for him, and the ball was cleared. 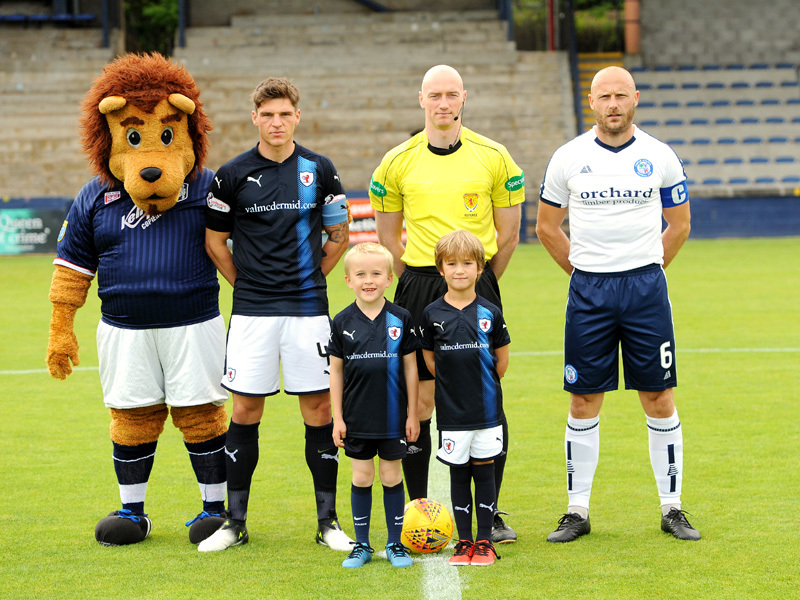 Ross Callachan then zipped a shot narrowly wide of the target from 20 yards, before Spence was once again denied by a brave smothering save by McCallum. McHattie was next to try his luck with a shot from outside the box, though the defender’s shot was horribly miscued and flew high into the home stand. 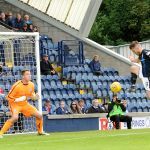 Rovers pushed hard to get their noses in front, but Forfar’s crowded defence meant they were largely reduced to shooting from distance, and a sense of frustration began to creep into their play. The fans in the home stand appeared to be worried that perhaps this would not be their day. 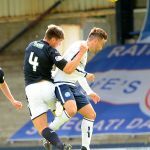 Forfar’s David Cox did little to endear himself to the home fans when he picked up a caution, then shortly afterwards slumped dramatically to the ground when he was caught by the arm of Scott Robertson, though the Loons forward was substituted shortly afterwards. 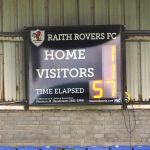 With ten minutes remaining, Barry Smith replaced Robertson with Jonny Court, and the move paid quick dividends as Rovers upped the ante going forward. 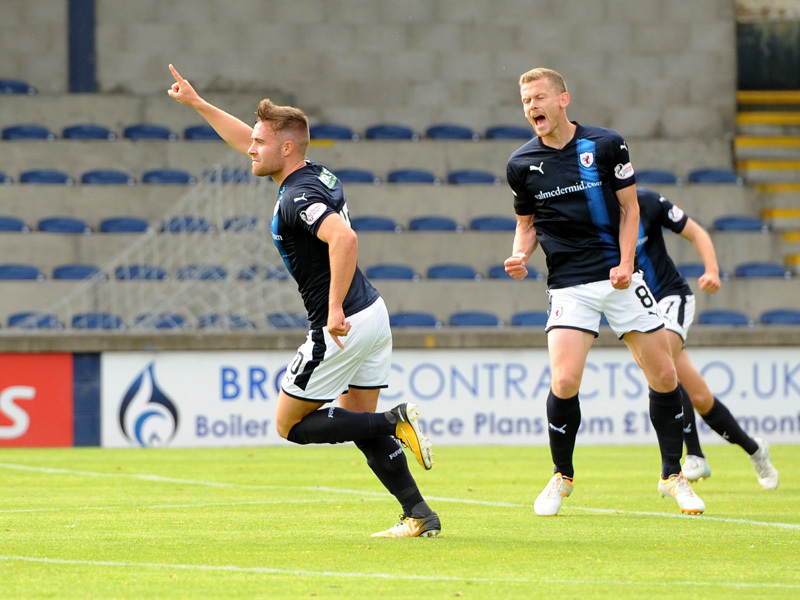 Lewis Vaughan sprinted down the left wing, and his low cross was steered into the far corner by Liam Buchanan, to the delight and relief of the home fans. Buchanan was then replaced by Ross Matthews, presumably in a bid to shore up the midfield area and protect the lead for Rovers. However, a raking pass from Callachan was missed by Simon Mensing, allowing Spence to nip in and prod the ball past McCallum from six yards. Having wrapped up the points with his goal, Spence should then have added gloss to the final score when presented with a clear sight of goal, but his close range shot was somehow cleared by a defender who in truth knew little about his block. In the end, Rovers were rewarded for their patience in a game which, in truth, could and should have been won long before the final minutes. However, win they did, and this result leaves the club sitting pretty in second place in the table, behind Ayr United. The season may be in its infancy, but it looks as if these two clubs will be pushing for top spot further down the line. 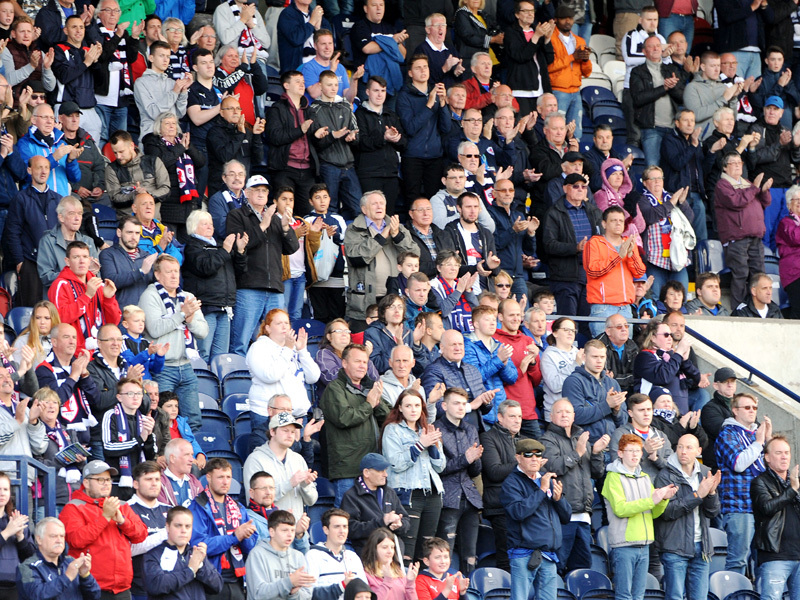 Welcome to a sunny, blustery Starks Park for Raith v Forfar on Rovers Retro day. Certainly plenty shirts of the past being worn today. +2 ref blows for full time. 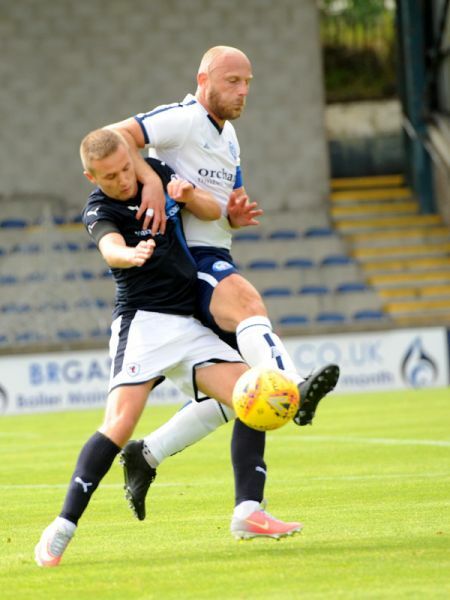 Whilst it wasn’t without a scare or two, Raith Rovers made it through to the second round of the Irn Bru Cup in midweek, with their second straight 3-0 win, and they’ll be looking for a repeat of that kind of scoreline, when Gary Bollan’s Forfar Athletic side visit Stark’s Park. 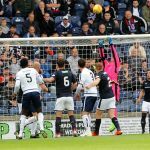 The two teams met last year in the Irn Bru Cup, with Raith on the receiving end of a 3-2 defeat. Mark Stewart put Rovers in-front after 20 minutes, but it was a goal which came very much against the run of play, with Lewis Milne equalising, before two goals from Josh Peters gave the Loons a 3-1 lead. 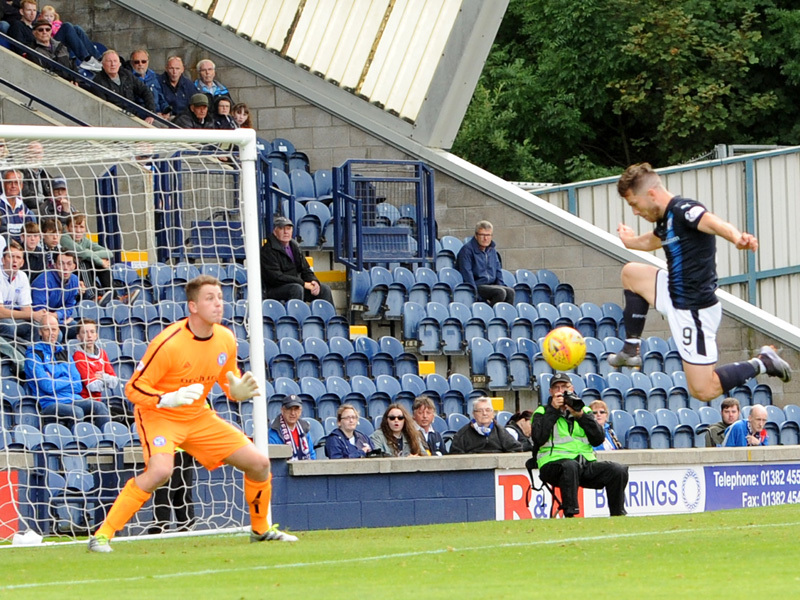 Declan McManus did get Rovers back into it with just over 20 minutes remaining, but despite Rovers pressure late on, Forfar deservedly took their place in the next round. 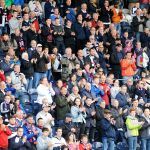 Bollan’s team would eventually earn promotion via the playoffs last term, although they led the way for the vast majority of the season, losing out on the title to fierce rivals Arbroath on the last day of the season. 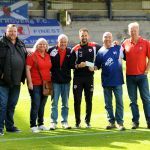 Despite last season’s success, a number of players have left Station Park over the summer, most notably Danny Denholm, Gavin Swankie, Josh Peters and Tom O’Brien, but Bollan has brought in a huge number of new faces to bolster his squad. 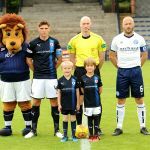 Former Rovers players, Simon Mensing and Scott McBride have both been brought in, while Dylan Easton was acquired after he left Clyde, while Ouzy See could start up front after he left Edinburgh City. 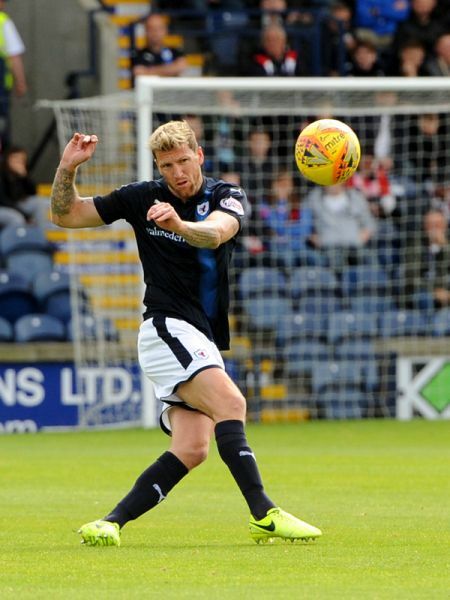 Marc McCallum is staking his claim to be the Loons number one, after leaving Plymouth Argyle, and former Falkirk central midfielder, Mark Millar has also been signed after a spell with Peterhead. 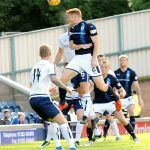 Forfar finished bottom of their League Cup section, but they did win their opening league match against Airdrie, it went down to Ayr last week by three goals to nil. The two sides haven’t shared a division since the 2006/07 season, and while Rovers didn’t lose any of the four meetings, they were all close, with two 2-1 wins and two draws. 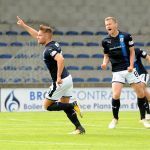 Despite that unbeaten sequence, Rovers and Forfar have identical records over the last ten league meetings, with four wins and two draws apiece.